Please support LXDE and vote for our core member Chris Wickert in the elections of the Fedora Engeneering Steering Committee. Christoph is the maintainer of Xfce and LXDE in Fedora. A vote for Chris is a vote for lightweight desktops in Fedora. His goals are to make Fedora more lightweight and less ressource hungry as well as keeping depencies low. To vote for Chris you need to have a (1) Fedora Account and (2) be accepted in a group, for example join Fedora Ambassadors. Voting is possible until June 22, 2009. Chris is the most active distro package maintainer of LXDE in Fedora. 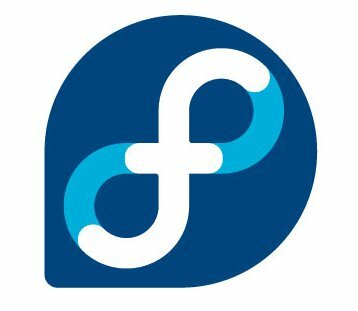 His engagements is a great success for both Fedora and LXDE as the large interest at Chemnitzer Linuxtage and other events have shown recently. (I want to) … improve packaging quality and enforce higher standards for better cross desktop interoperability. Try to reduce the dependency bloat to make sure Fedora does not become too fat, so it still can be used on older or smaller hardware like netbooks or the OLPC without too much pain. Nominations followed a predefined structure, where people could ask questions and get answers. The answers of Chris here. There was also an official IRC meet up for candidates with the logs also available. Avelino from the CentOS Community in Brazil and Chris Wickert had an interesting talk on the LXDE IRC (irc.oftc.net #lxde), how to make LXDE run in CentOS. There are no LXDE rpms for CentOS yet, but it is possible to rebuild the srpms from Fedora. You can grab the latest packages from https://admin.fedoraproject.org/updates, use the search box to search for a package and then install as described in http://wiki.lxde.org/en/Fedora. If you download and install the CentOS RPM it should work fine (https://admin.fedoraproject.org/updates/search/lxde). You will also need menu-cache if you install latest lxpanel 0.4.0 or a later version. The feedback on LXDE at the Chemnitzer Linuxtage in Germany has been fantastic. Klaus Knopper presented LXDE as a default on Knoppix. Christoph Wickert showed how to install LXDE on different systems and Marcus Schulderisnky introduced people to ways to translate LXDE. Here are voices from the blogosphere. LXDE was a very important topic. We created USB-Sticks of Christoph Wickert’s LiveCD with LXDE on the visitors USB-Sticks. > this triggered a rush of people to the Fedora booth who wanted demos. > work with the rest of the LXDE upstream paying off. > interessierte Zuhörer den Saal bis in die letzte Ecke füllten. > die Vorträge von Klaus Knopper (LXDE – ein schlanker Desktop), J. > Lichdi (Online-Durchsuchung und Vorratsdatenspeicherung), Dr.
> (*BSD-Alternativen zu Linux) angehört. We are excited to see another distribution including LXDE. Fedora offers LXDE in its new versions arriving November 26 25, 2008. The Fedora packages are maintained by Christoph Wickert from Germany. Thanks for your contribution Christoph!